Picture this: you and your team have been preparing for months for one of the biggest meetings of the year. You’ve compiled the client reports, finalized your presentation, packed your bags, and flown into town a day early—your team is ready to go. The day of your meeting, you all get up early and head to your client’s corporate headquarters. However, upon arrival in the main lobby, you and your team are immediately overwhelmed. You have a meeting room number, which you locate on the directory, but have no idea how to locate the room. Luckily, you arrived early so you and the team set out to navigate the building on your own. Did you and your team make it to your meeting on-time and knock your presentation out of the park? Probably so. 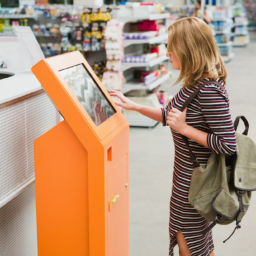 However, one small addition could have totally transformed your guest experience—an interactive digital directory kiosk. While many are familiar with the traditional static and printed directories often displayed in more traditional office buildings with company names and suite numbers, interactive digital directories are a step above. Interactive directories can display up-to-date information and directions to help guests successfully identify and navigate their destination—they’re easy to use, efficient, cost effective, versatile, and widely applicable across a variety of different industries, not just the corporate world. Unlike the aforementioned “traditional” directory at the client’s corporate headquarters you visited for your presentation in the example, interactive digital directories are easy for visitors to use. With a digital directory kiosk, visitors can identify the company or individual they are meeting, access contact information, and receive directions to their destination, all from the digital kiosk. They’re easy for companies and administrators to update on the back end too. From updating contact information or images, to adding or removing companies or individuals as they move in or out, digital directories allow for updates to be made seamlessly and cost-effectively. While traditional directories and printed signage often require less of an upfront investment than their digital counterparts. Think about it, if companies or employees are constantly moving in and out, a directory could need to be updated quite frequently, which would have the potential to be resource intensive from both a time and financial standpoint. The ability to make updates at the click of a mouse enables digital directories and kiosks to be a highly cost-effective solution, especially in the long-run. While many office buildings or corporate campuses have an employee dedicated to welcoming visitors, answering questions, and providing directions, as needed, those individuals are often quite busy—and may not be immediately accessible to visitors at all times. 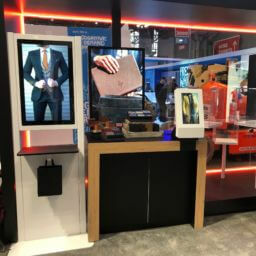 While a digital directory kiosk is certainly no replacement for the service offered by a front office administrator, it does create a more efficient front of house environment—giving visitors the option to quickly access information and directions to their destination at the tip of their fingers. Despite the fact that their primary purpose is to facilitate directional guidance and wayfinding, interactive digital directory kiosks are highly versatile and can be used to share and promote information beyond what is needed for guests to find their way to their destination. 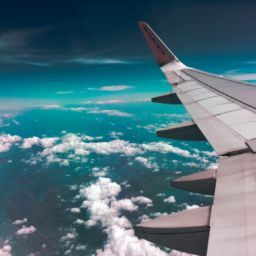 For instance, companies can also use digital directory kiosks to highlight upcoming corporate events, feature exciting company news, and share relevant information with employees and guests. With a digital directory kiosk, the possibilities are plentiful. While the use case for interactive digital directory kiosks in a corporate environment is obvious, they can be used across a wide variety of different verticals and industries. From government entities, to higher education, retail outlets, and healthcare facilities, digital directory kiosks are able to effectively guide and inform both visitors and employees—whether it’s through a single building or across an entire campus. Despite the fact that traditional directories are still being widely used, digital directory kiosks provide visitors with a simplified and unique experience—far beyond what their predecessors bring to the table. 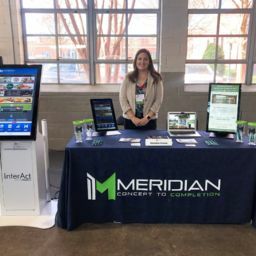 To learn more about Meridian’s interactive digital directory kiosks visit https://www.meridiankiosks.com/solutions/digital-directory/.